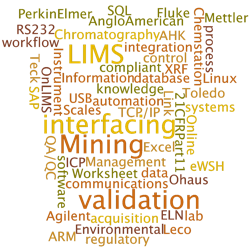 Online Quality Charting is a device that scans the LIMS database automatically for published results. These results are then charted and displayed on a large monitor. 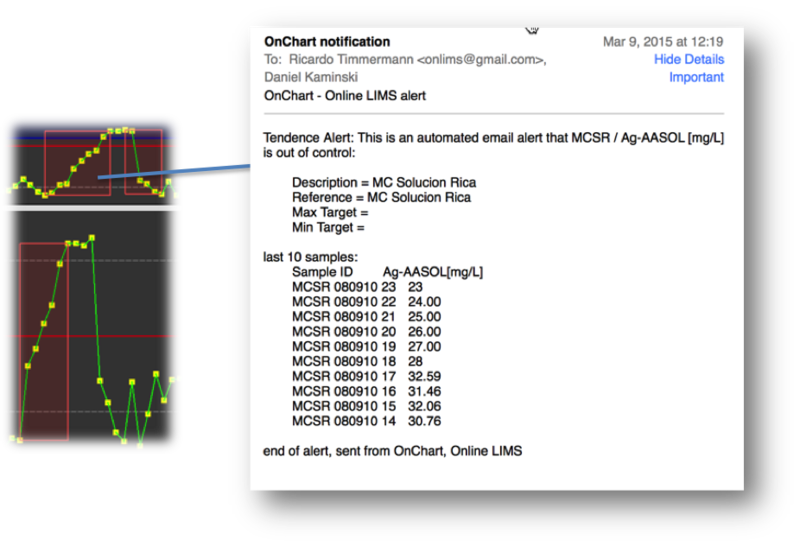 OnChart also analyzes the data, sending email alerts for any data that is out of control. Simplicity is the key to OnChart’s power. Its hardware ensures flexibility as it is composed of an industrially embedded computer comprised of several interfaces and an open architecture. Its hardware requires consumption of very little energy, guaranteeing maximum lifetime usage. Finally, with pre-installed Linux (embedded Debian), the hardware’s stability and robustness are unsurpassed. OnChart graphically depicts any laboratory or instrument data. A massive amount of data is generated daily by a laboratory and its instruments. Managers are often too busy with administrative duties to dedicate the effort needed to analyze results in a timely manner. OnChart assists with this critical function. It takes all of the results in the laboratory that have been published and displays them graphically on the manager’s monitor in real time. As it grabs the results, OnChart analyzes them and sends email alerts for any data that is out of control. 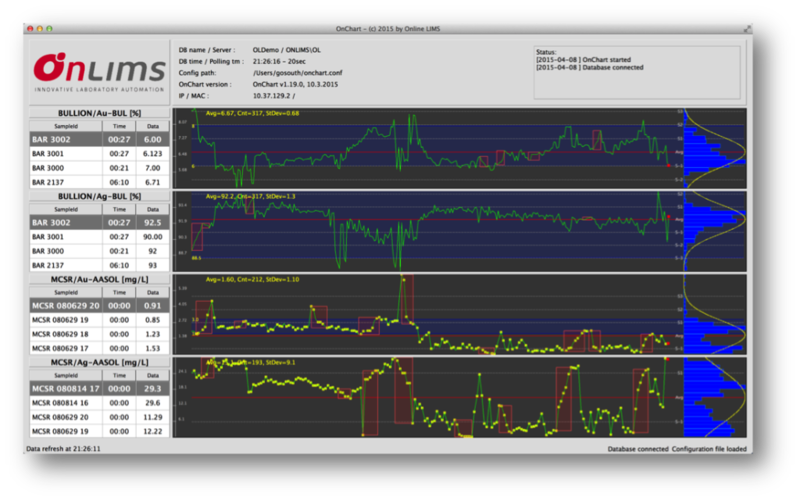 OnChart is a fantastic data monitoring tool. Intelligently analyzes chart behavior, transmitting alerts both visually and by email if data is out of control. Note: The HDMI monitor is not provided. The Credit card size device can be fixed on the back of any larger monitor.